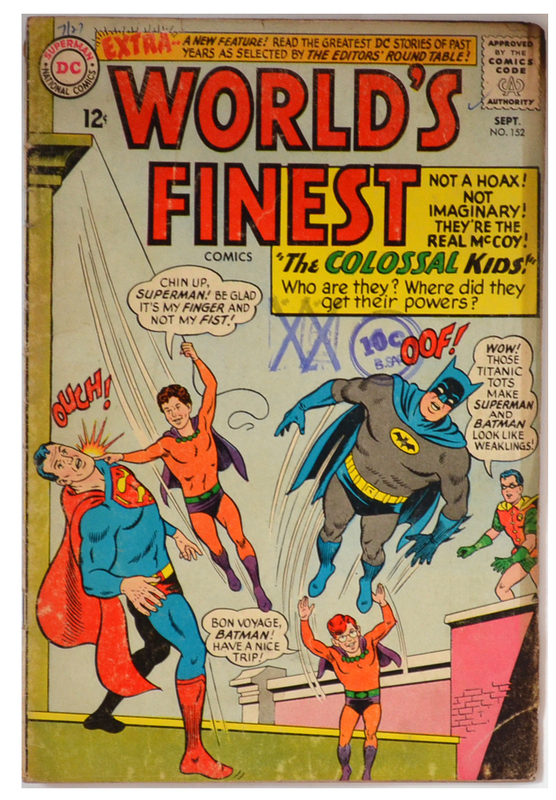 Partea I -“The Colossal Kids”, cu Superman si Batman, scenariu de Edmond Hamilton, creioane de Curt Swan. Doi copii cu super puteri terorizeaza Metropolis si ii provoaca pe Batman si pe Superman sa le descopere secretele. Partea II – “The Magic of Bat-Mite and Mr. Mxyzptlk”. 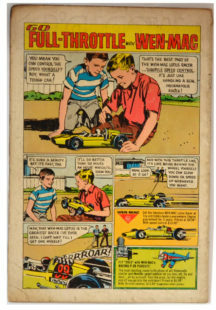 Weapons of Destiny–The Editors’ Round Table, scenariu de Otto Binder, arta de Bill Ely. 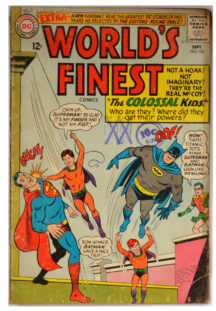 Be the first to review “World’s Finest 152” Click here to cancel reply.